Apex – The tightest point on a corner, which the rider usually rides through just before he begins to exit, accelerating away. Ape Hangers – High motorcycle handlebars, often with hand grips at or above the shoulders. This causes the rider to look like they are hanging like an ape from a branch. Armor – Motorcycle riding gear often has foam pads in strategic areas called armor. Some jackets have motorcycle armor permanently built-in, while in other styles it is removable. The are many types of motorcycle armor including Dual Density, Memory Foam, GP armor, Molded Rubber & Core Comp varieties. There is currently no regulated standard in the US. The most trusted standard was developed by the European Commission and is marked CE approved. Braking Marker – A physical point which a rider uses to judge where he should start braking as he enters a corner. This could be a tree, advertising board, a mark on the track or any other distinguishing feature which the rider uses to guide his braking pattern. Back Door – The last rider in a group ride. Customarily, the most experienced motorcycle rider. Also known as sweep or tail gunner. Baffle – Sound deadening material inside the muffler. Materials used for this vary. Aftermarket motorcycle exhausts often allow the rider to add or remove baffles to adjust the back pressure to tune performance. Ballistic Nylon – A nylon fabric with a basket weave for added tear and abrasion resistance developed by Dupont. Often used in textile motorcycle gear. Belly-Shover – A motorcycle racer. The term is derived from the aggressive riding posture common to sport bikes that positions the motorcycle riders stomach over the tank. Bronson Rock – Something that is not a standard tool that is used to repair a motorcycle. In the show Then Came Bronson, a rock was used to straighten out a bent fender so that he could continue the ride. Bubble Gum Machine – Patting the top of the helmet as a signal to other rides that police are ahead. Burnout – Spinning out the rear wheel usually with the front brake locked. Done briefly before a race to warm up the rear tire or done for show that burns a lot of rubber and is a fast way to shorten the tire’s life. Busa – A Suzuki GSX1300R Hayabusa – a notoriously powerful motorcycle. Chicane – A section of track with two corners in close succession in opposite directions. A left-hander followed by a right-hander or vice versa, which looks like an ‘S’ from a bird’s eye view. Compounds – The type of rubber / mixture of rubber used in tires. Curbs – Mainly painted in two colors and often featuring prominently on, or just after corners, the curbstones mark the sides of the race track and help to guide the riders. Caning it – To ride a motorcycle very aggressively. CE Armor – Armor that has met the European safety requirements. There currently is no US standard for motorcycle armor. Chase Vehicle – A truck or van that rides behind a group of motorcycle rider on a long trip to haul any vehicles that break down along the way. Chicken Strips – The remaining tread on a sport bike. The more tread on the side of the motorcycle tire, the more of a “chicken” the rider is. More aggressive riders lean harder into the turns wearing the tread on the sidewalls. Chopper – A motorcycle that has an extended front end with a greater angle than standard bikes. The term originates from the fact that early riders would cut away, or chop, unnecessary portions of the bike and frame to reduce weight. The raked front end makes for a motorcycle that is stable but not agile. Recently, choppers have gain attention through the popularity of Jesse James of West Coast Choppers and the Tuttle family’s Orange County Choppers, featured on the Discovery Channel. Core-Comp Armor – A style of motorcycle armor made up of energy absorbing polystyrene cells sandwiched between layers of foam rubber then sealed in an abrasion resistant ballistic nylon. This is a very advanced style of CE approved armor. Corn Snakes – At harvest time in rural parts of the country, dried cornstalks blow across the road looking like snakes. Countersteering – At speed a motorcycle is controlled by turning the handlebars away from direction you want to turn. It is summarized in push the right handgrip forward to turn right, push the left handgrip forward to turn left. Motorcycle steering is accomplished by leaning and turning your front wheel to the left will make the bike lean (and turn) right and vice versa. Cordura – A fabric manufactured by Dupont of high strength, textured nylon fiber believed to offer more abrasion and tear resistance than other textiles. Often used in the manufacturing of textile motorcycle riding gear. Crack It – Roll on the throttleCrash Bungs – Plastic bumpers that attach to a motorcycle frame to protect the bike’s fairing in case it is dropped. Often used by stunt riders to avoid expensive repairs to body panels. Also called mushrooms or frame sliders. Cruiser – Cruisers are low and long motorcycles including many motorcycles in the Harley-Davidson lineup. They tend to be big and heavy but usually have a pretty powerful engine to match. Detonation – This is an engine condition in which the usually smooth and controlled combustion process has a violent and out of sequence burst. This sudden spike in combustion can drastically increase the pressure in the cylinder but is too fast to effectively contribute to the engine’s output. Instead, the combustion chamber itself must absorb the excess energy. This is a very good way to shorten the lifespan of an engine. Detonation is actually a slang term for the official condition called “knock.” Detonation is closely related to pre-ignition. Displacement – Displacement is the volume of space the piston travels through in one stroke of the engine. It is measured in cubic centimeters (cc) or cubic inches (ci). The greater the displacement, the more gas and air can by used during combustion and the more energy (horsepower) the engine can generate. Donor Cycle – Nickname most often used by medical professional or emergency workers (police and firefighters) to describe a motorcycle. Drag Bars – Motorcycle handlebars that are low and straight, not sweeping up from the risers. Drag Pipes – Low short exhaust pipes running along the frame. Dual Density Armor – This is the cheapest and most common form of motorcycle armor. As the name indicates there are two separate densities of foam sandwiched together. The difference in firmness between the two types of foam helps make the armor more versatile in protecting the rider from different types of impact. Dual Sport – Dual Sport motorcycles designed for both on and off-road use like my Kawasaki KLR 650. The balance between the two uses varies with some basically being dirt bikes with necessary parts to be street legal (ie turn signals) while others are more or less standard motorcycles but with suspensions capable of handling the demands of the trail. Duals – A motorcycle with duals has two separate exhaust pipes (usually one for the front cylinder and one for the rear). Displacement – The capacity or size of a bike’s engine, usually quoted in cubic centimeters (cc), for example 1000cc, 600cc or 250cc. Dry Race – A race in which the track surface is considered to be dry by Race Direction, as opposed to wet. In a dry race teams will run slick tires on their bikes. See Key Rules section for more details. Eat Asphalt – Slang term for crash. ECM – Acronym for Electronic Control Module is the computer that controls ignition, timing, fuel to air ratio and more. On cars it is often referred to as the ECU, the electric control unit. Endo – Stopping with the rear wheel off the ground (the opposite of a wheelie). Sometimes called a stoppie. Enduro – An enduro motorcycle is designed for both on-road and off-road use. The term is has lost popularity in recent years in favor of the term dual sport. Fairing – The plastic body panels that protect the rider from the wind and rain and (to some extent) from other debris. Fathead – The dual cam V-Twin manufactured from 1999 – today. Fishtailing – When the motorcycle rear end moves from left to right under hard braking. Four Banger – Inline four cylinder engine. This engine is commonly used in cars and is one of the more powerful powerplants you will find in a motorcycle. Front Door – First rider in a group ride. GP (Grand Prix) – A racing event which lasts three days, involving the three MotoGP classes, MotoGP, Moto2 and Moto3. Grand Prix weekends consist of two days of practice and qualifying, followed by the warm-ups and races in each class on the final day. There are currently 19 Grand Prix on the MotoGP™ calendar. Grid – The collection of starting points on the start/finish straight on the track, where the riders gather at the beginning of each race, lining up in the positions in which they have qualified to start. Gag it – Rolling on to wide open throttle in high gear from a rolling start of about 50 mph. Gear – A toothed machine part that meshes with another toothed part to transmit motion or to change speed or direction. On motorcycles there are gears in the transmission, rear wheel and elsewhere. Gear ratio – The number of teeth on each gear that are connected at a given time. If a gear with 60 teeth in use is connected to one with 30, there is a 2:1 gear ratio. The gear ratios in the transmission determines how hard the motorcycle has to work at a given speed and gear. The gear ratio between the drive sprocket and the rear wheel can affect the bike’s torque. Giggle Gas – Slang term for nitrous oxide. When nitrous is injected into an engine it provides an instant, though temporary power boost. This works since the engine can use the oxygen in the nitrous oxide in the combustion process. Nitrous systems come in wet and dry varieties with wet connecting to the fuel system and dry to the air intake. Goatsbelly – Late model Vulcan motorcycles had an unusual looking silencing chamber in the exhaust system fondly referred to as a goatsbelly. Gore-Tex – This is one of the most respected of waterproof fabrics. The advanced membrane technology prevents water from penetrating but allows sweat and moisture to evaporate out. This material is used in popular motorcycle rain gear. Grabbing a Handful – This term can mean either applying the brakes or rolling on the throttle quickly and firmly. Gumball – A gumball is a nickname for a motorcycle’s rear tire after a long burnout since much of the tread will have been worn off leaving smooth rubber. Hairpin – A very tight corner which has to be taken slowly and often appears U-shaped or V-shaped. High Side – A crash in which the rear wheel of the bike slides out from under the rider – so that he is essentially at a right angle to his racing line (the direction in which he was going) – and then regains grip, which flips the bike and rider over. Hole-shot – Taking the hole-shot means leading the race at the first corner. Hammer Down – Accelerate quickly. Hard Tail – A motorcycle with no rear shock absorber. This rigid frame results in a stiff ride. Hard GP Armor – Comprised of hard plastic shells mounted on foam, GP motorcycle armor is good at resisting hard impacts. It is used mainly in gear designed for motorcycle racing. Vanson has a derivative of the GP Armor that is secured with Velcro mounted on elastic to allow the armor more mobility, which adds comfort for the rider. High Side – A particularly nasty type of crash where the can be bucked up and over the handlebars. Usually caused when the rear break is released after a rear wheel lock up. When under power a motorcycle naturally keeps the two wheels in line. If the rear brake is over applied and the rear wheel locks up it will often slip out of line. If that brake is released and power returns to the rear wheel it violently snaps back in line with the front wheel, often with catastrophic results for the rider. Hosed – Trashed, hopelessly broken. Ironside – Generally referring to something on the northern hemisphere (top) of the motorcycle. Opposite of rubberside. Jockey Shift – Variation on the suicide clutch. A short lever is mounted directly on top of the motorcycle’s transmission with the rider shifting near his left calf. Keep the dirty side down – A parting expression between bikers meaning ride safe. Keep the shiny side up – A parting expression between bikers meaning ride safely. The same as keep the dirty side down…some people see the glass as half full, others half empty. Kevlar – A fiber manufactured by Dupont (notice all these funky, freakishly strong textiles are made by the same company) which, by weight, is five times stronger than steel. Often blended with Cordura and other more elastic materials in the production of textile motorcycle riding gear. Kevlar is also used in the bulletproof vests and helmets that protect the lives of American soldiers and law enforcement professionals every day. If I remember correctly, Kevlar also has flame retardant properties. Knock – This is an engine condition in which the usually smooth and controlled combustion process has a violent and out of sequence burst. This sudden spike in combustion can drastically increase the pressure in the cylinder but is too fast to effectively contribute to the engine’s output. Instead, the combustion chamber itself must absorb the excess energy. This is a very good way to shorten the lifespan of an engine. The slang term “detonation” is often used to describe engine knock. Knock is closely related to pre-ignition. Lane Stealer – A car driver who tries to squeeze by a motorcycle rider in his lane, merges in too close to him or passes him in a no passing zone. Maybe car drivers don’t see motorcycle riders. Maybe they don’t give them the respect they deserve as a motor vehicle because of their small size. Regardless, all motorcycle riders must expect drivers do things that range from rude to dangerous. A safe rider will learn to anticipate such behavior and adapt because of it. Lane splitting – Driving in a non-lane between cars. Generally frowned upon by the law but in some states lane-splitting is legal when cars are stopped in bumper-to-bumper traffic. Lane splitting is legal and common in many foreign countries. Law Maker – Riders that engage in senseless and risky behavior that can lead to accidents, injury or death to themselves or others. Their reckless behavior causes restrictive laws to be imposed on all riders. Lay it Down – Most commonly used as another term for crash. A rider can also “lay down” his motorcycle intentionally when a danger ahead is even less preferable. In this case laying the bike down will be a little like a hockey stop on ice stakes with the bike low, sideways and sliding wheels first. Low Side – A crash whereby the rear wheel or both wheels of the bike lose grip and do not regain traction, resulting in the motorcycle slipping out from underneath the rider. Lean angle – The lean angle refers to the degree at which a rider tilts his bike into the track as he corners at high speeds. Riders’ knees and elbows can often touch the ground at maximum lean angle. Left-hander – Simply a left-hand corner, where the rider ‘turns’ left, leaning the left side of his bike and body towards the ground. Leathers – Motorcycle riding gear, including jacket, pants, gloves and boots, that are helpful in protecting a rider in the event of a crash. Many feel that motorcycle leathers offers more abrasion resistance then even advanced textile gear but on the downside it can be hot and gets quite heavy when wet. Mad Max – A burnout where the front wheel is stationary and acts as an axis around which the rear end of the motorcycle rotates. Memory Foam Armor – This motorcycle armor is made from special purpose foam that is soft and pliable when compressed slowly but on sudden impact the foam resists compression and is more rigid. This allows for a more natural and comfortable protection and superior freedom of movement while still maintaining good crash protection. Molded Rubber Armor – This armor is often nicknamed “turtle shell” because of its resemblance to the aquatic creature. It is generally longer and more oval shaped than other styles of motorcycle armor which can make it harder to fit into average armor pockets. MSF – Acronym for Motorcycle Safety Foundation. This is an organization that exists to educate riders on how to safely operate their motorcycle on the road. Usually they offer two levels of classes: Basic Rider Course and Experience Rider course. The Basic Rider Course is provides valuable information through classroom and on bike training. It covers everything from identifying motorcycle parts to lane changing and power braking maneuvers. Upon successful completion of the basic rider course in Illinois, a rider receives an exemption from the DMV riding test and qualifies for their M endorsement. More importantly, it offers a safe, controlled environment for training in practical situations. Weekend courses are 4 hours Friday, 10 hours Saturday & 10 hours Sunday. Week long courses are 4 hours per night Monday through Friday. Motorcycles are provided by the organization. The course I took, sponsored by Northern Illinois University, had a $20 fee to register ahead of time, which would be refunded upon completion or kept as a donation. If unable to register, walk on openings may be available at no cost. This course would be easily worth ten times the reservation fee and by far the best way to learn to ride a motorcycle. 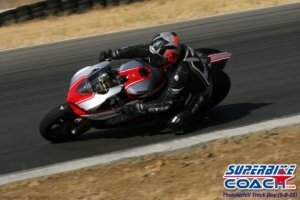 The Experience Rider course is a one-day class (half classroom, half on-bike) and goes in depth on more advanced techniques. This course requires a valid motorcycle license and the rider is expected to bring their own motorcycle. Mushrooms – Plastic bumpers that attach to a motorcycle frame to protect the bike’s fairing in case it is dropped. Often used by stunt riders to avoid expensive repairs to body panels. Also called crash bungs or frame sliders . OEM – An acronym for “Original Equipment Manufacturer” which are stock parts (opposed to aftermarket parts). Odometer – Gauge that tracks distance traveled. Usually there is one odometer that tracks mileage over the life of the bike and cannot be adjusted and a separate trip odometer that can be reset at any time to track short term mileage. Many people reset the trip odometer each time they fill their gas tank so they can estimate how much gas they have left in the absence of a gas gauge (also can be helpful in determining fuel economy). On Rails – Expression meaning that a vehicle corners very well at high speeds. One-Off – A part that is custom fabricated one time instead of being mass-produced. OTB – Acronym for “Over The Bars” which is rarely a good thing to do on a motorcycle. Pannier – Motorcycle packs or bags that hang over the rear wheel like saddlebags. Available in textile “soft” bags or “hard” packs made from metal or plastic. Care has to be taken to make sure a pannier is kept off the exhaust. Pasta Rocket – Slang for an Italian-made sport bike such as Ducatis or Aprilias. Pavement Surfing – Sliding down the highway after laying down a bike at speed. Pit lane – An access lane which is usually directly adjacent to the main straight on the track and is used for going between the pit-boxes and the circuit (See ‘At the circuit’ section for more details). Poker Run – A road rally style motorcycle run where riders stop at 5 checkpoints along the route to draw playing cards. At the end of the run the rider with the best poker hand wins. Pre-Ignition – This is a condition in an internal combustion engine where the intake charge ignites before the spark plug fires. High compression engines actually can generate enough heat to cause an air/fuel mix that is lean or low octane to combust without the spark plug’s help. This obviously can harm an engine since the combustion cycle designed for very specific timing. Other causes of pre-ignition include carbon deposits in the engine that retain excessive heat, a spark plug that gets too hot or improper jetting. Often closely related to knock or detonation. Pull – A motorcycle’s ability to accelerate quickly. Rake – The angle of the motorcycle’s front fork. The extended rake on choppers make them stable but lacking agility. Rebound – The force a suspension exerts after being compressed. The strength of the return stroke greatly affects the handling of the motorcycle (or any other vehicle). Rice Burner – Slang term for Japanese vehicles. Rice Rocket – Slang term for a Japanese sport bike. Ride Captain – The ride captain is the leader of a group ride. Ride Lieutenant – The ride lieutenant is the last rider in a group ride and usually the most experience aka Back Door. Rigid or Rigid Frame – A motorcycle with a one-piece frame lacking a swing arm and suspension. Rippin’ it Up – This phrase describes fast, aggressive motorcycle riding. Road Gator – Road Gators are bits of shredded tires littering a road after a semi truck’s tire blows out. They can look innocent enough but steel bands can cause serious damage to a vehicle and are potentially dangerous to motorcycle riders. Road Rash – An abrasion that results from sliding along the ground after a motorcycle crash. Wearing proper gear can limit road rash but may not prevent it entirely. Rocker-Clutch – Some motorcycles have a foot-operated clutch instead of the traditional handgrip lever. This pedal does NOT, however, function like the clutch in a standard transmission car. Instead the pedal pivots over a central fulcrum with the motorcycle rider stepping on the front end with his toe to disengage the clutch and pressing with the rear section with his heal to engage the clutch. The Rocker-clutch is not that common on modern bikes. Rolling Chassis – The rolling chassis is a milestone stage in building a motorcycle. Though not completely assembled, enough of the build has been completed to take the bike down off the lift and roll it. Usually the main mechanicals missing are the engine and transmission. Roost – Deriving its name from its resemblance to a rooster’s tail, the roost is spray off a motorcycle’s spinning rear wheel in wet mud. This is common to dirt bikes and mx motorcycles. Rubberside – Generally referring to something on the southern hemisphere (bottom) of the motorcycle. Opposite of ironside. Right-hander – A right-hand corner, where the rider ‘turns’ right, leaning the right side of his bike and body towards the ground. Rookie – A rider competing in his first full year in any of the three categories of Grand Prix racing is referred to as a rookie. Slipstream – To slipstream another rider is to follow him on a straight and use the flow of air around him and his machinery to your advantage, by building up the momentum to overtake him in the area of reduced pressure behind him. Slicks – Tires with no tread specifically designed for use in road racing and made of a soft compound, which give just enough grip without slowing the bike down. Scoot/Scooter – This term does not just refer to true scooters or moped but to any motorcycle or two wheeled vehicle. Shaft drive – A shaft driven motorcycle gets power to the rear wheel via a rigid shaft as opposed to a chain or belt. Belts and chains wear out easier and require more maintenance but if shaft driven bike sustains damage to the shaft, repairs will be expensive. A shaft drive is also notably heavier than either a belt or chain. Short – A motorcycle with short gearing has a low final gear ratio. This results in a higher top speed but less torque and acceleration. Shotgun Pipes – A dual exhaust that resembles a double-barreled shotgun. Showed Him My Wheel – An expression meaning that you road behind another rider so closely that he could see your front wheel beside him. Most commonly used in a racing situation (on the track or elsewhere). SIPDE – Acronym for Scan, Identify, Predict, Decide & Execute. The Motorcycle Safety Foundation recognizes these as five critical behaviors for safe motorcycle operation. The concept applies just as effectively with all vehicles. Sissy Bar – A sissy bar is a passenger backrest found mainly on choppers and some Harleys but can technically be added to just about any motorcycle. Some are more functional with some padding while others are mainly for looks. Skin – Skin refers to a vehicle’s paint job. Slam – A slammed motorcycle (or car) has a lowered suspension. This lowers the center of gravity and can sometimes help handling but usually is just done for appearance. Sled – Slang term for motorcycles. Snail – The spiral shape of a turbocharger leads to its nickname hair dryer or snail. Soft Tail – A soft tail motorcycle has the styling of a rigid bike but maintains the functionality of the suspension. Sparking the Pavement – When a motorcycle is leaned enough to drag the pegs, floor boards, exhaust or other metal parts on the road resulting in a shower of sparks. Sport bike – A sport bike is a term applied to light weight, high horsepower motorcycles with designed with emphasis on acceleration, cornering and stopping power. Sport Standard – Not all motorcycles fit neatly in the traditional categories but lie somewhere along the two-wheel spectrum. Sport standard motorcycles have many speed-oriented features of sport bikes but lack the fairing of sport bikes and maintain an upright riding posture of a standard motorcycle. Sport-touring – The motorcycles in the sport-touring category are a mix between a sport bike and a touring motorcycle. They usually have sports power while adding comfort features necessary for long touring rides. SQUID – Acronym for Stupidly Quick, Underdressed, Imminantly Dead. Reckless and inexperienced motorcycle riders who ride without proper gear and beyond their abilities, endangering themselves and others. Standard – A classic styled upright motorcycle with focus on no frills function. Styling is not a main objective on these bikes. They tend to be less powerful than sport bikes but more powerful than cruisers. Static – Static is a slang term meaning trouble. Usually it is in reference to problems with the law or being “hassled by the man” but static can arise between bar patrons, rival bike clubs or even husbands and wives. Stitching a line – This term refers to the art of slipping through traffic in a quick manner on a motorcycle. The term does not imply reckless weaving but controlled and deliberate maneuvers that allow a motorcycle rider to get through traffic as efficiently as possible. Steering Aids – Gouges in the road that “guide” a motorcycles front wheel against the rider’s wishes. Steering damper – A part mounted on a motorcycle’s frame and fork to even out control and avoid wobbles. Steering Head – A tubular section of the motorcycle frame where the fork mounts to. Steering lock – To prevent a thief from taking your motorcycle and rolling it away locks are often built in that freeze the fork to the far right or left. It is usually a setting on the motorcycle ignition switch. Stock – A motorcycle that is unmodified the original factory specifications (no aftermarket parts). Stoppie – Stopping with the rear wheel off the ground (the opposite of a wheelie). Also called an endo. Straight Pipes – If the exhaust system on a motorcycle has no baffles in the muffler the exhaust is unrestricted and flows straight through. The lack of restriction boosts performance but is very loud. Many areas have laws against straight pipes and police officers will slid their nightstick in the muffler to test if there are baffles or not. Stretch – A stretched motorcycle is usually a chopper with extended front fork. Suicide Shift – Older motorcycles had a rocker clutch (foot operated) and the gears were shifted with a lever mounted directly on the transmission. The term “suicide shift” was coined because the rider has to take a hand off the handlebars in order to change gears, which meant less control of the motorcycle and danger – especially over rough roads. Suspension – Springs and shock absorbers, usually front and rear, the soften the ride and make the motorcycle more comfortable. A good suspension also aids handling by ensuring that the wheels stay in contact with the road when going over rough or uneven pavement. Super Slab – Large expanses of open road – highways, interstates & expressways. Sweep – The last rider in a group motorcycle ride. This is conventionally the most experienced rider aka the back door or tail gunner. Tachometer – A tachometer is a gauge that displays the engine’s level of exertion displayed in revolutions per minute (rpm). Tail Gunner – The last rider in a group motorcycle ride. This is conventionally the most experienced rider aka the back door or sweep. Tall – A motorcycle with tall gearing has a high final gear ratio. This results in less top end speed but more torque and stronger acceleration. Tankslapper – A dangerous situation where the motorcycle’s handlebars jerk back and forth causing the riders knees to slap against the gas tank. A motorcycle under power will naturally seek to roll upright and in a straight line so if mishandled, the handlebars can jerk back and forth trying to find the straight line. A tank slapper normally ends up with the rider laying the bike down. Tar Snake – The material used to patch cracks in the asphalt have less traction than the original pavement and can be slippery. This material also has a lower melting point and will get soft or melt on hot days – this can be potentially hazardous. T-CLOCK – An acronym used by the Motorcycle Safety Foundation to remember the key points of the pre-ride inspection (Tires, Controls, Lights & Electronics, Oils, Chassis & Chain, Kickstand). Textiles – Motorcycle riding gear made of fabric (Cordura, ballistic nylon, Kevlar, etc). Generally cooler than leather gear and usually water resistant. The Ton – The 100 mile per hour mark. Throttle – The control that adjusts speed and acceleration by regulating the amount of air and gas that enters the carburetor. Thrashing it – To ride a motorcycle very aggressively. Touring Motorcycle – Touring motorcycles are larger bikes designed for comfort on long rides. Generally preferred by older riders and not gear toward fast acceleration or aggressive handling. Torque – This is a physics 101 term referring to rotational force (Torque = Force x Distance from the center of rotation) and is most commonly measured in foot pounds. This is the force that propels the wheel of a vehicle. People often compare vehicle power by horsepower but a vehicles ability to accelerate is more accurately measured in torque. High horsepower results in a high top speed while high torque translates to strong pickup. Transmission – A vehicle’s transmission is a system of gears that adjust the ratio of engine speed to wheel speed. The ability to vary gears allows an engine to be useful across a wide range of speeds. Tri-Armor – The result of a four-year German study, Tri-armor is CE approved motorcycle armor made up of a plastic membrane sandwiched between layers of dual density memory foam. This is an advanced armor that balances impact resistance, abrasion resistance and comfort. Trial – Trial riding is a motorbike sport that highlights uncanny vehicle control. The off-road bikes are used to traverse boulders and obstacles. It often requires the ability to effectively jump a bike from a standstill and land with precision and balance. Trial bikes are built specifically for these competitions and are exceptionally lightweight and lack seats. Triple – A motorcycle engine with three cylinders with an inline layout. Triple Trees – aka Triple Clamps, This component connects the front forks to the steering stem. The name is derived from the three tubes that are joined at this part – 1 steering stem + 2 fork tubes. Tuck – The tuck is the most aerodynamic riding position. A motorcycle’s fairing and windscreen and designed to direct oncoming wind and reduce drag. In an upright riding position this wind will collide with the rider, usually in the chest. By lowering the head and torso close to the bike the wind can pass unobstructed over the bike and rider. Twisties – Slang for a road with many turns. The twisties are usually the preferred setting for aggressive riders. Twisting The Wick – Slang for accelerating derived from the motion associated with rolling on the throttle. V-Twin – A V-twin is a motorcycle with 2 cylinders positioned in a V (the angle can vary. This layout facilitates a maximum torque and smooth power. The V-twin also allows for more options in positioning the power plant. Valve – An engine component that regulates the flow of air and fuel into the combustion chamber as well as the release of exhaust for that chamber. The rate at which the valves open and close is controlled by the camshaft. Vanson Street Armor – Soft foam motorcycle armor that is fixed in the jacket by velcro instead of slipping into mesh pockets. This armor is designed to allow greater freedom of movement. Wild cards – Unsigned riders who are entered for one-off races, as opposed to regular competitors. A Wild Card qualifies top racers of national- and international level for a MotoGP race. Waxer – A motorcycle owner who is more likely to spend time washing and waxing his bike than actually riding it. Wheelbase – The wheelbase is the distance from front wheel hub to rear wheel hub. A longer wheelbase results in a more stable, but less agile, motorcycle. Wheelie – Riding a motorcycle on the rear wheel only with the front wheel suspended in the air. Yard Shark – A dog. Dogs tend to dislike motorcycles and will try to attack. Dogs plot an intercepting path so varying throttle is an effective evasive maneuver. A common tactic is to slow and downshift on approach then accelerate away to avoid the dog. Z Bar – A ’70s style motorcycle handlebar that curves out toward the front of the bike then curves back toward the rider. Zook – Short for Suzuki.